How Much Does A Prison Sentence Cost? Under a new system, Missouri judges are able to tell you exactly how much the tab will be on a defendant’s potential prison sentence and compare that tab with the discounted probation price ticket. That state’s sentencing advisory commission is taking some heat for their cut and dry cost analysis approach to sentencing considerations. 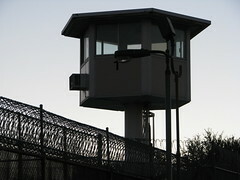 Advocates promise, however, that price is only one small factor that may be taken into consideration at sentencing time. According to The New York Times many defense lawyers, “fiscal conservatives”, and advocates of prison alternatives support the new option available to judges as it gives them the chance to see, in dollars and cents, just what the cost of incarceration is. While money isn’t the only concern and certainly can’t account for the personal and societal costs of a prison sentence, it’s certainly become more of an important consideration with tight budgetary concerns over the past several years. With a quick input of such data as the current charge, criminal history, and background the judge is able to see sentencing options and the cost of each. He can compare, for instance, the $37,000 price tag on a three year prison sentence with the $6,770 tag on a comparable probationary term. Perhaps even more interesting, the formula used is said to calculate the chances of the defendant reoffending while out in public. While this part of the new system hasn’t been given as much air time, it seems as important if not more important than the cost analysis. As one judge states, (the price) “is one of a thousand things we look at…it’s such a small thing.” No doubt the likelihood that a person would commit further crimes weighs even more heavily on the minds of sentencing judges. While judges and supporters of this new method claim it doesn’t sway judges towards community correction alternatives when those alternatives aren’t in the best interest of society, critics disagree. They seem to think judges would sacrifice public safety in exchange for a discounted punishment. Apparently judges in Missouri have been asking for this kind of data for years and now they have it. There’s a good chance other states will follow. As departments struggle to decide where they will house all the incoming inmates, a cost analysis of prison alternatives on a case by case basis seems completely rational. Berman is right and perhaps this cost analysis will open up discussions on what costs society pays when nonviolent prisoners are sent away for years. Previous post: Do Innocent People Ever Confess to Crimes?